Purulia… the West Bengal town where I went to school – Sainik School. 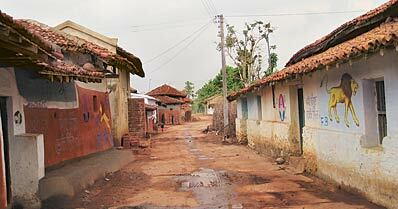 Purulia… an agricultural bed in West Bengal where I learnt Bengali language by reading graffiti on the mud walls. Purulia… a district inhabited mostly by tribals. Purulia… a hot summer thrower with 50 degrees celcius. 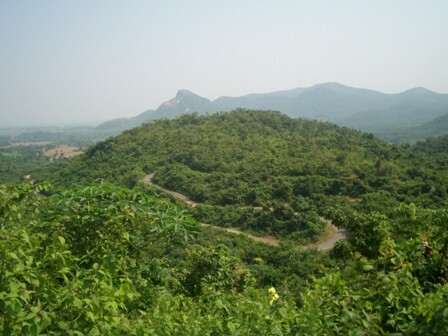 Purulia… a forest-friendly destination promoting Ayodhya Hills – the mountain range that stood rock-solid behind our school. I was a child then… when they told me that the mountains visibly standing in the backdrop of our school were part of Ayodhya Hills. I would think … must be Lord Rama’s Ayodhya. Long after I had left Purulia, this place again attracted my attention… and even the world attention. There was an arms drop. A Latvian aircraft had dropped a large consignment of arms in its lap. This incident killed Purulia’s innocence. Lately, Purulia is being described by my fellow journalists as home to naxals, a beehive of rebel movement. This Purulia goes to polls today. It is an extremely picturesque getaway with hills, dales, tall trees, springs, tranquil lakes, a river and clear blue skies. Please do not spoil the crispness and freshness of its air. Why don’t you just trek, relax and enjoy its beauty? I can still smell the intoxicating smell of its soil, they are in my veins. Jaina Bhagavati-Sutra of circa 5th century A.D. mentions that Purulia was one of the 16 Mahajanapadas and was a part of the country known as Vajra-bhumi in ancient times. Purulia - A rally for rights. 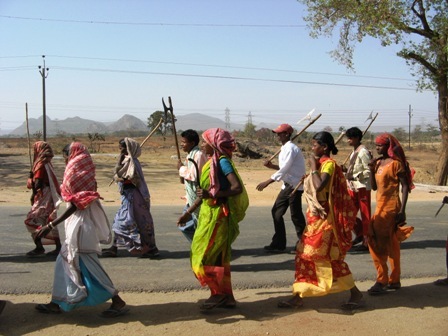 On 22nd February, 2009, the Adivasi Moolbasi Janashadharan Committee (Tribal Peoples Committee) held a meeting. Photo by Partho Sarathi Ray. Born as a district in 1956, Purulia acts as a gateway between the developed industrial belts of West Bengal and the hinterlands in Orissa, Jharkhand, Madhya Pradesh and Uttar Pradesh. Not long ago, in Purulia and in rest of West Bengal, armed Communists had responded with terror when the poor innocent tribals needed healing touches… with their livelihoods threatened. Then, they had fired bullets. Today, you have your day with ballots. And with ballots, you can change the colour of your state. Mamta Banerjee may not be a maverick, but you are. Rise. And o women of Purulia, you make half of this assembly constituency. Go to vote in your trademark sari and bathroom slippers. I know how honest you have been all these years and yet remained untouchables… just scheduled castes and tribes.